Five-line entries give you plenty of space for contact name and address information. Single letter tabs make it easy to find any contact. 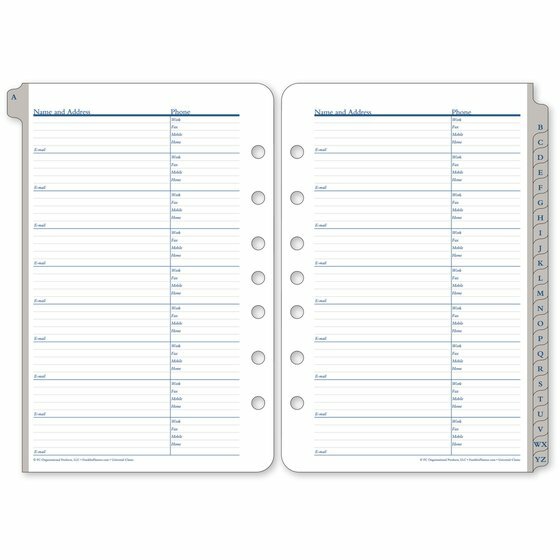 Pages are loose-leaf with classic ring bound design. Printed in the USA.